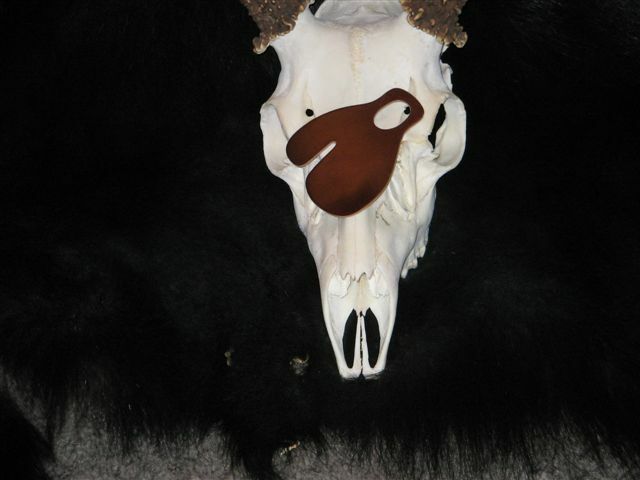 These are sold separately so make sure to order at least one per tree stand. 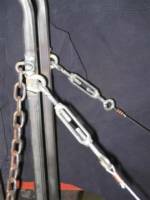 Finally, we found a way to attach and store your bow haul-rope so that it isn't dragging behind and getting wound up in your chain while you're carrying the stand. These are welded on the stand when ordered so no extra shipping when ordered with a stand. 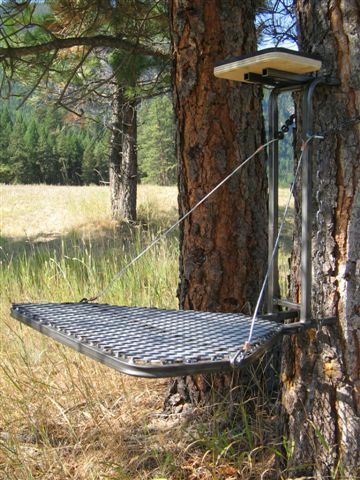 Must be ordered with your tree stand. Works like a charm!! Buy one stand and several of the mounting brackets and you have a way to have multiple stand sites without having to have a bunch of stands. Mounting brackets are sold seperately so make sure to order at least one per stand. An old-time bowhunter was telling us about the "Cordovan" tabs of 40 years ago - how "slick" they were, how they seemed to last forever (that got us, because we're QUALITY freaks!) These are made from Cordovan leather, the "slickest" leather in the world. Cordovan leather is extremely hard to get and expensive, but worth it! They guarantee a smooth release every time. Achtung! Achtung! They are only one layer thick and do not have a finger divider. Trust us, this is NOT a problem. It will take only a day or two to get used to it and fall in love with it!! You will never have better "feel" for your string, or a more "perfect" release. This is a scaled down screaming eagle stand. 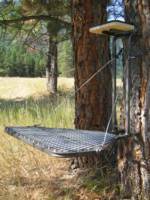 The stand is really great for carrying long distances into the woods, or up into the mountains to those "hot spot" elk wallows. We particularly like it when we want to leave as much cover in a tree as possible..with the smaller platform, we cut out fewer branches. Weight: 11 pounds. Seat height 20.5". Platform is 19 3/4" wide and 19 1/2" deep. Five feet of chain is included. 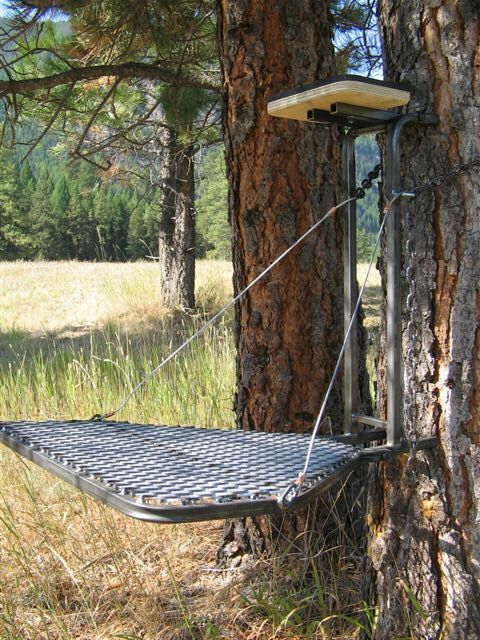 Standard size or Magnum size with longer steps and screws for people over 300 pounds or for cottonwood tree use. 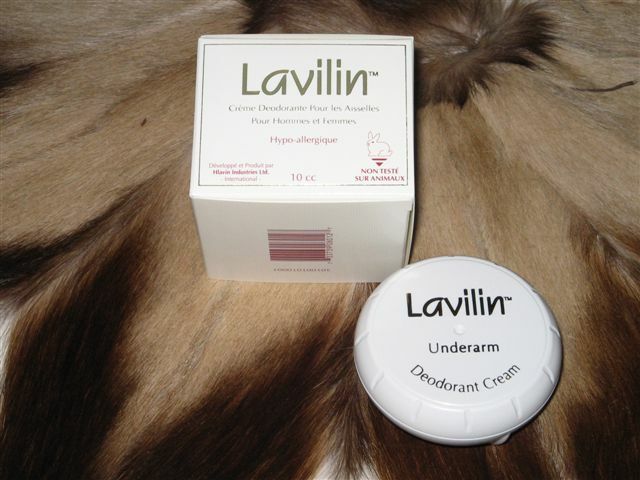 LAVALIN is not a gimmick odor remover, it's not a cover scent. It is REAL deodorant like those that millions of people use each day to avoid being "offensive." It is the only "all natural" deodorant available, made from natural antibacterial agents. It contains no aluminum chlorohydrate. 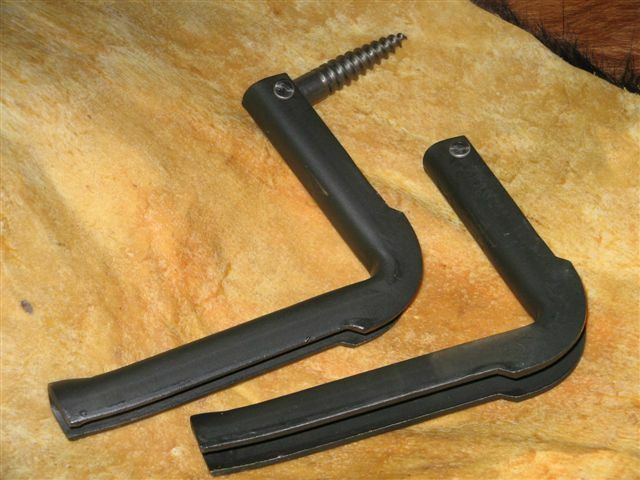 Replacement seats for your Eagle, EagleT, Boss Eagle and Boss EagleT stands. SAFE, STABLE, STRONG and Quiet. Weight: 14 pounds. Seat height 25". Platform is 25" wide and 24" deep. Welded, unpainted steel. 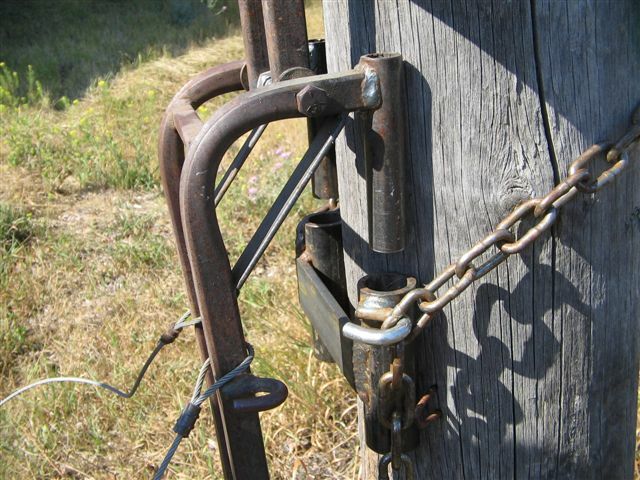 Five feet of chain included. Installation instructions included. Weight capacity - we have tested the stand to over 4000 pounds... NO other stand can hold that kind of weight. 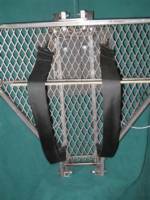 We've designed these pack straps to clip onto the expandex platform of our screaming eagle stands. With these, you can pack your stand for miles into the woods and never know it's there. You can leave them in place when on stand. 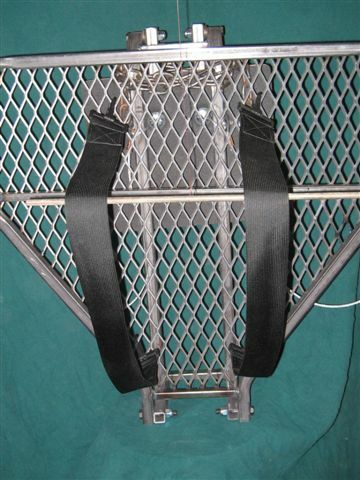 One of our most popular options for the Screaming Eagle Stand is the installation of turnbuckles to the aircraft cable between the stand frame and the platform. 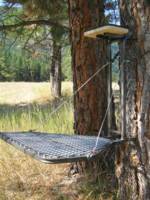 This allows the hunter to tilt the platform up or down when placing the stand in a leaning tree. Must be ordered with tree stand. These are welded on the stand so no extra charge for shipping when ordered with a stand. ***For orders with multiply items, call (406) 793-3003 to save on shipping charges.